3D bioprinting is revolutionizing tissue engineering and the future of medicine. CELLINK combines expertise and collaboration to enable this future alongside scientists all over the world. 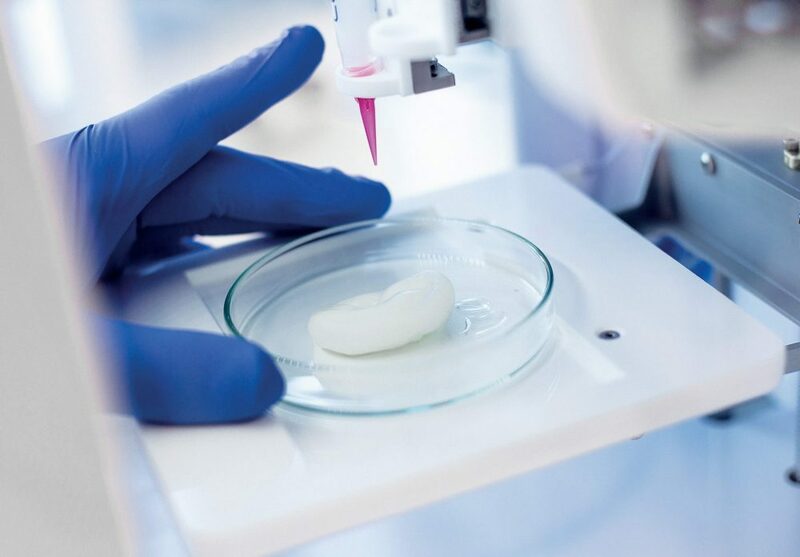 Bioprinted tissue can be used in fields like drug discovery, enabling researchers to test potential treatments and evaluate efficacy in earlier stages, and providing a more realistic model of cellular function. In time, new drugs and treatments can minimize failures, reduce animal testing and reach clinical trials faster. A major challenge in tissue engineering and stem cell research is mimicking the tissue environment. Delivering a solution depends on controlling an artificial tissue’s features on a macroscale. To respond to this need, scientists adapted additive manufacturing technology for bioprinting tissues and organs. 1. Pre-bioprinting. Create a digital file for the printer to read. Today, these files are often based on CT and MRI scans. Prepare the cells and mix them with bioink. 2. Bioprinting. Load the cell-laden bioink into a cartridge and choose one or multiple printheads, depending on the structure to build. 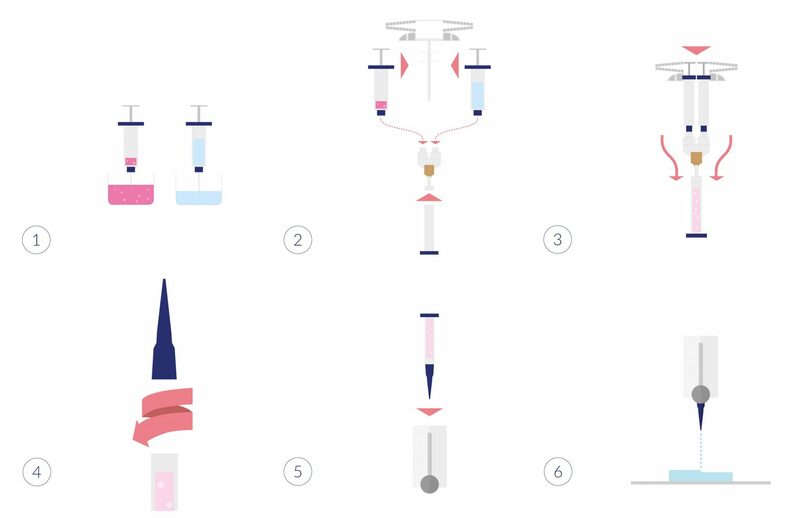 Different types of tissue require different types of cells, bioinks and equipment. 3. Post-bioprinting. Most structures are crosslinked to become fully stable. Crosslinking is usually done by treating the construct with either ionic solution or UV light – the construct’s composition helps determine what kind of crosslinking to use. 3D bioprinting is a foundational technology for enabling clinical treatments using a patient’s own cells. Bioinks are being used around the world for research in skin models, tumor models, liver models and more. Once refined, this approach will revolutionize tissue engineering and reconstructive therapies. Read more about Cellink’s bioinks.